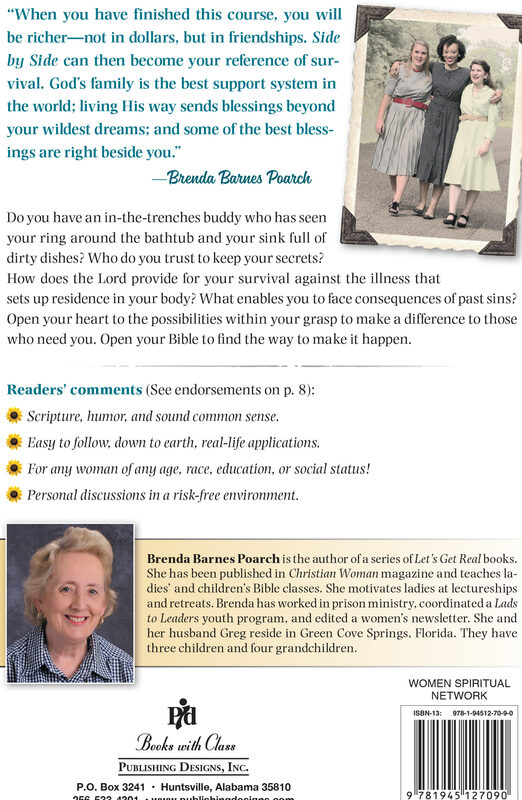 Brenda Poarch’s use of scripture, humor, and sound common sense makes her readers come away with practical every-day application of God’s Word. Her insightful questions promote study, thought, and communication. Side by Side is for any woman of any age, race, educational or social status who seeks a better relationship with God and His people! Brenda’s teachings include easy to follow, down to earth, real life discussions about problems that Christian woman face every day. Brenda covers very difficult subjects that need to be discussed without stepping on toes. Brenda Poarch’s classes are both motivating and inspirational. I felt secure in sharing private thoughts and feelings which allowed for a much greater degree of introspection. I thoroughly enjoyed the author’s ability to speak to women’s everyday issues in a practical way and relate modern matters to teachings of the Bible. It is refreshing to see that many Christian women face the same issues and have the same concerns I do. 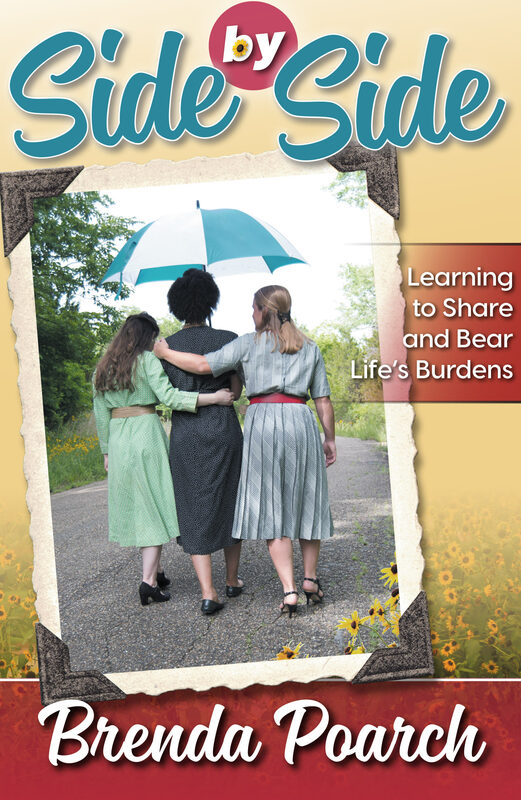 Brenda Poarch’s writing is uplifting and encouraging. She helped us examine and evaluate our own lives. We were able to face personal discussions in a relaxed, and risk-free environment, sharing our own experiences with each other. We developed personal bonds. Most of the conversations were issues that women deal with in everyday life. We realized that the answer to our problems were right there in the Bible. She is right to the point. Ordering more than 10 of Side by Side? To order Side by Side, click Add to Cart below.